Hamilton May is pleased to present for rent a spacious commercial space ideal for many types of shops or offices, located in the best location in Krakow. Hamilton May presents a commercial space of 144m2 offered for rent on the ground floor of a newly developed office building in the Czyżyny district. Hamilton May presents a commercial space of 200m2 offered for rent on the ground floor of a newly developed office building in the Czyżyny district. Hamilton May would like to present for rent a commercial space of 36 sq. meters close to the Old Town on Cybulskiego street. 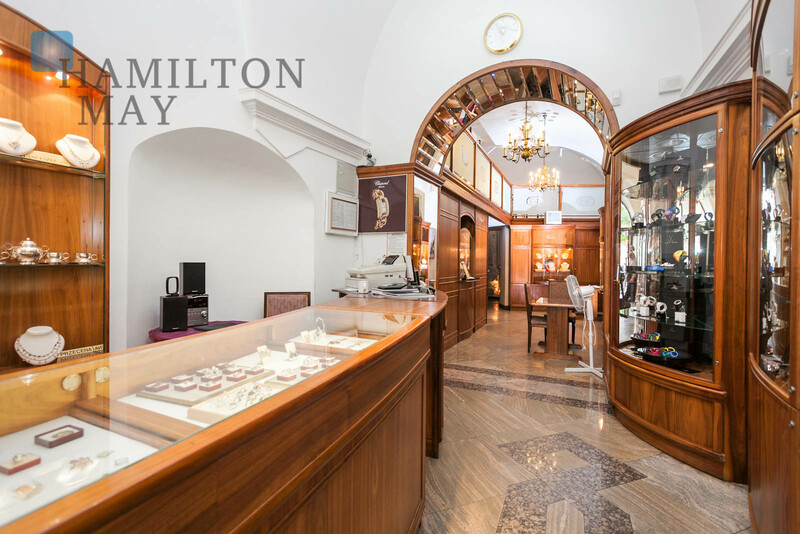 Hamilton May offers a very attractive commercial property with 2 displays located on Michałowskiego street. Hamilton May would like to present a commercial space in a well-known Angel Wawel residential/commercial complex. Hamilton May is pleased to present a perfectly exposed commercial property, located in the front, corner section of a building in the city center. The property is offered for rent. Hamilton May is pleased to present a modern commercial/service property of 146 m2, located on nearby Mogilska street. Hamilton May is pleased to present an attractive commercial space available for rent in great location in well-known investment. 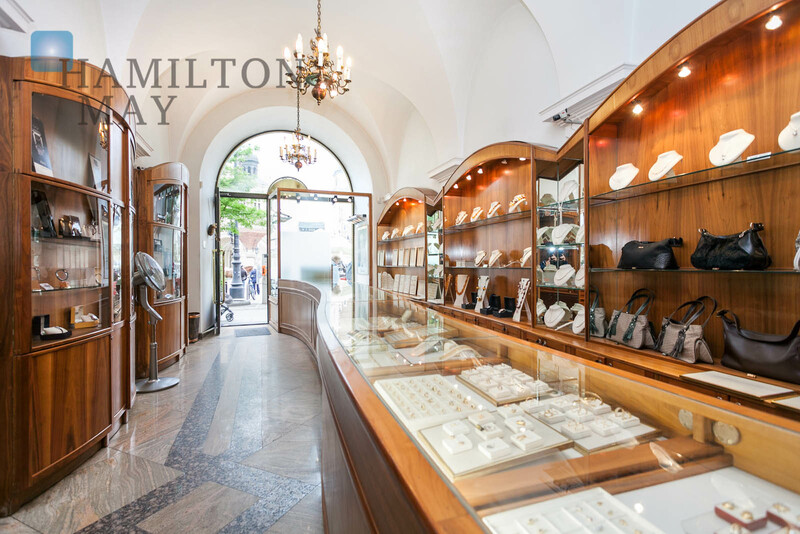 Hamilton May specializes in the offer of shops and retail spaces for rent in Krakow, mainly in central areas of the city. 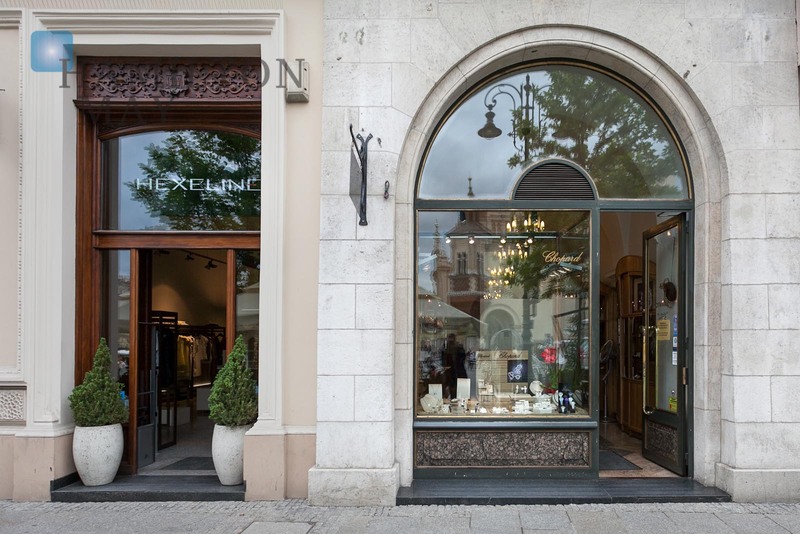 We are pleased to offer a selection of up to date shop and retail space rental listings in Krakow. Krakow has a mixture of different shop and retail space types to rent from offers in historic buildings on main thoroughfares in the city centre through to modern shopping centres. In recent years, as Krakow has become more prosperous, many new retail and shopping complexes have been built to meet local demand. For retailers who wish to be in the old centre of Krakow, there is a mixture of shop spaces available to rent in historic tenement buildings. In the old town, several streets such as ul. Grodzka, ul. Florianska and ul. Szewska get a huge amount of daily foot traffic, so retailers will pay top dollar to be in such a location. On streets such as these, retail rents can rise to as much as 200 PLN per square metre per month. Just outside of the old town are several important high streets with a mixture of retail tenants, including ul. Długa, ul. Karmelicka, ul. Starowislna and ul. Krakowska. Retail space rents on such street are typically approximately 80-100 PLN per m2 per month. Throughout Krakow, there are several large and modern shopping centres. In the centre, there is Galeria Krakowska, joined to the central railway station, which is arranged over 3 levels. Also close to the centre is Galeria Kazimierz, which in addition to retail outlets also houses a cinema complex. Other major shopping centres in Krakow include Plaza on Aleja Pokoju and Bonarka to the south of the centre. Rents for retail spaces in such shopping malls can be high, but tenants are guaranteed high numbers of shoppers.